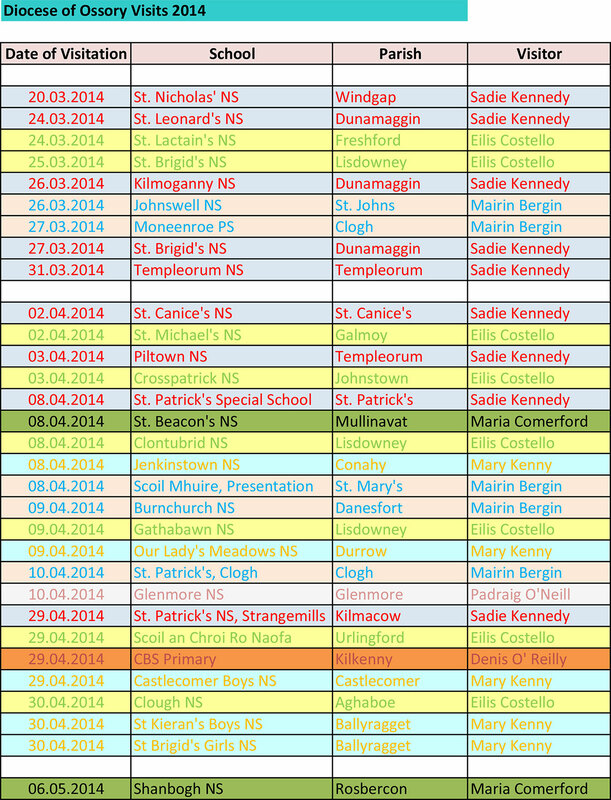 Every year a programme of visitation is undertaken by the Primary School Diocesan Advisors. Visitation provides an opportunity to experience firsthand the commitment of our teachers in the area of religious education and how a Catholic ethos enhances every aspect of school life. It also serves to remind the school community that the task of educating in faith is not undertaken in isolation but in communion with the bishop and people of the diocese. The visitation team is always open to listening to the concerns of teachers, priests and parents during the visitation process. 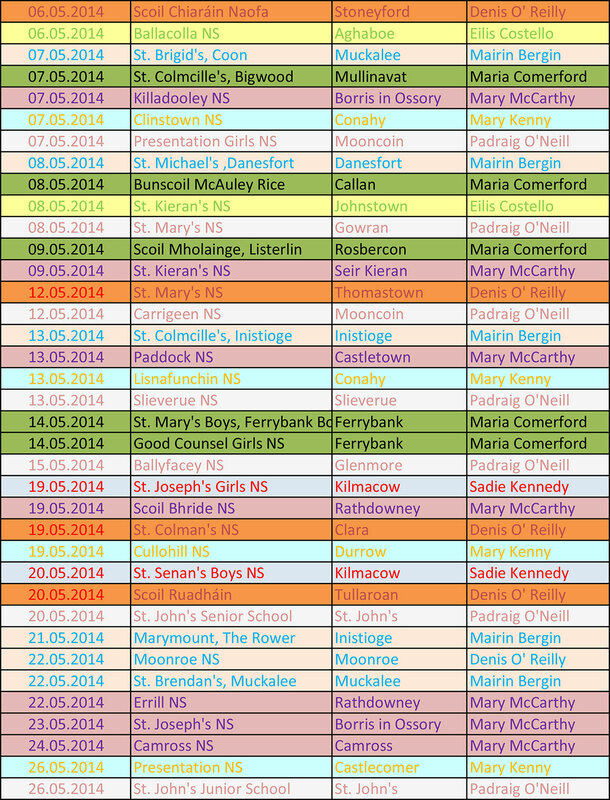 Click here to download the Primary Schools Visitation 2014 timetable or view below.